Assuming you have a compatible device you will want to back up your device and initiate the upgrade wirelessly. Make sure your device has power and navigate to Settings -> General -> Software Update. From there, you can download and install iOS 8. If you’d prefer, you can also perform the update by using iTunes. 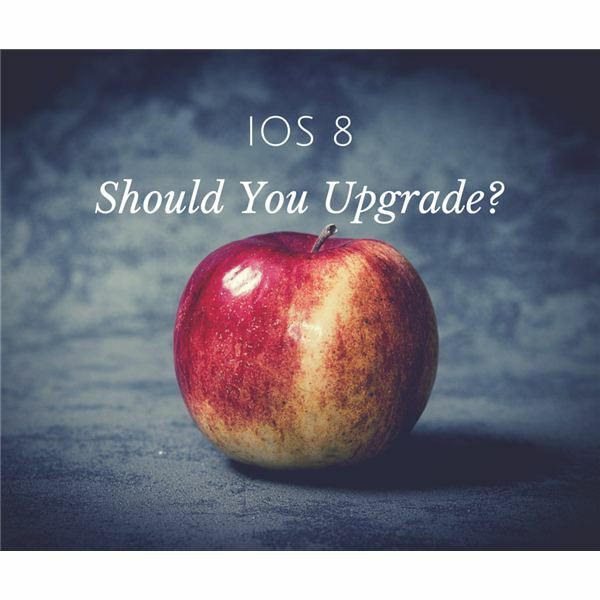 Next, let’s cover some of the new features in iOS 8.
iOS 8 includes numerous large improvements and new features. Below are some of the most notable. Spotlight Search: Search is much improved over previous versions. The search results take inventory of your location and context and will show applicable results based on those things. Visiting France and trying to visit the Eiffel Tower? Do a search and you’ll see web results for the Eiffel Tower and nearby places. Click on the map and you can get directions to your destination. Keyboard Changes: One thing Android users have been boasting for a long time is the flexibility in keyboards they can use as well as predictive text input. Apple has finally given users the ability to change keyboards and can now use third party input devices such as Swype and SwiftKey. iOS 8 also has predictive text so as you type, iOS will present possible words that you can click on to quickly compose your message. Interactive Notifications: Notifications can be made to be interactive without the need to leave your current app. For example, if you receive a text message and you can instantly reply from the notification window. Widgets: Another feature that Android users have long enjoyed, iOS 8 introduces Apple users to widgets. Check the weather or stock updates from the notification window without leaving your current app. You still can’t place widgets on the desktop but at least you can have widgets now! Continuity Mode: If you have other iDevices like iMac or iPad continuity mode may be for you. Using the Handoff feature in some popular apps like Mail and Safari, you can easily switch devices and pick up where you left off. For example, you can start composing an email on your iPhone and then do a handoff to your Mac. You will be able to continue your email right where you left off. These are just a few of the notable features introduced or improved in iOS 8. Be sure to leave a comment on your favorite new feature below!